The reputations of many great project managers were ruined because their projects failed due to their mismanagement of vendors. The biggest mistake project managers make in discerning the status of their project is to rely solely on vendor status reports. These reports give only one version of the project’s progress. And that version happens to be the vendor’s. If you are managing a project that involves a vendor, your version of your project’s progress should be based on your own assessment of the quality and timeliness of actual deliverables. Let’s start with some mindset principles. You must remember that the vendor is helping you deliver the project to your customer. However, you are ultimately responsible for the project. You, not the vendor, are accountable for delivering the project to your customer. Because this is your project, your customers will likely blame you if the project fails due to non-performance by the vendor. This seems harsh, but your customers will still hold you at fault for not detecting this outcome early enough to make course corrections. Because this is your project, you should never hesitate to ask for what you need from your vendor so that you remain in control. Whatever expectations you have of your vendor must be aligned with your customer’s expectations of you. You don’t want to find yourself in a situation where you cannot make your vendor meet your customer’s expectations. There are many things that can go wrong with projects that involve vendors and each of these scenarios carries its own set of risks. Some vendors may promise capabilities that their solutions don’t actually have, staff the project with inexperienced consultants, or underestimate their costs and try to make up for this by raising unreasonable change orders. The most effective way to mitigate these risks is to structure your project so that you insert yourself at various milestones during course of the project, so you can touch and feel the vendor’s deliverables. This will enable to identify performance issues as early as possible. There should be specific milestones in the project when you stop and ask; is the vendor performing to our expectations? Can we deliver a successful project with this vendor? For example, after the initial design phase, you can ask to review and approve the design documents. Or after completion of the development phase, you can request a detailed report outlining the test results from the unit-level testing. These types of checkpoints will allow you to notice early warnings of non-performance and decide on course correction measures. Structuring the project this way, you will start seeing issues as early as the design phase. If you missed the signs of trouble then, your next opportunity would be end of the vendor unit testing and so on. By the way, these checkpoints and deliverables should be stated in the vendor Statement of Work (SOW). When a vendor is not performing to your expectations, one of the key tools that you should have in your hands to correct this is withholding payments. When you determine the logical verification milestones you need to have in your project, you can link vendor payments to actual payment milestones. For example, you can pay 10% when the contract is initially signed, 25% after the design is approved, 25% after the user acceptance test is approved, 25% after the Go Live, and a remainder payment 30 days after the Go Live. This last payment is critical because you don’t want the contractors to walk away after the Go Live and leave behind a list of unresolved issues. This final payment should motivate them to resolve all issues before they leave. Again, this should all be spelled out in the SOW. Each payment milestone should depend on the approval of one or more actual deliverable. For example, the 25% due after the user acceptance testing will depend on the execution of the acceptance test plan and approval of the test results. This way you, as a customer, remain in control of when the actual product is ready for the Go Live. Each payment milestone shifts control back to you, so you can decide what course corrections are needed to deliver a successful project. The proper control mechanism should balance the level of control with the expectations of your internal staff. Remember, I stated earlier that what you expect from your vendor and what your customer expects from you should be aligned. Your internal staff should be responsible for reviewing and approving work products at each payment milestone. This will foster a sense of ownership and will help them feel in control of the quality of the deliverables. In the absence of this ownership and control, you will be seen as an accomplice if the project goes south due to contractors’ non-performance. Warning – DO NOT sign-off on any vendor deliverables until the person from the customer’s side, who will receive the final product of the project, approves them first. It is very tempting to approve deliverables on behalf of the real customer but you shouldn’t. The “ultimate” customer should always be the one to approve all deliverables. In the absence of a proper vendor control framework, you can end up getting caught in the middle between what your internal staff expects of you and what you can get out of the vendor. Therefore, structure your project’s verification milestones properly or you are likely to end up being treated as a pariah by both. What problems have you experienced with your vendors and how did you solve them? what lessons have you learned. I would love to hear your thoughts so please don’t hesitate to leave your comments. I think it’s a good idea to have some form of bonus for the supplier that makes it in their interest to deliver what you want when you agreed. That way, your interests and theirs are aligned. Another idea is to have an independent assessor monitor their work to get an independent opinion on progress. Thank you for sharing your experience. These are two interesting ideas that I would love to hear more details about. Let me know what has been your experience with incentives and independent assessors. I am sure that there are good and not so good ways to setup such agreement. The key here is to have clear, agreed to milestones that can be monitored effectively. It is also critical to effectively engage the vendor by being clear on how milestones will be monitored, specific success criteria expected, level of status reporting formality and frequency of status report meetings. As far as offering vendors a bonus for doing what you agreed to: this is what you hired them for to begin with. Bonuses should only be offered if vendors deliver ahead of schedule or find ways to be more cost effective. Managers of initiatives where vendors are required, don’t forget that you need to set the pace and manage the vendor. Failure to do this will create many issues for you, your staff and ultimately jeopardize the project. Ron, I agree that failure to properly manager vendors can really ruin a project manager’s reputation and can even result in loss of job. I have seen it happen many time. 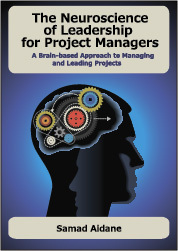 What am noticing is there there is not a whole lot of literature that shows new project managers how to do this right. There a lot of high level information but not so much practical advice that new project managers can apply immediately on their projects. Especially in the area of crafting robust statements of work. Let me know if you have any resources you think new project managers will find helpful. Your insights can only come from someone who has been there and done it (many times over). so thank you for sharing your insights. You are so right regarding the fact that there really are not many resources regarding techniques on managing vendors. I have gained a great deal of information and viable techniques through being thrown into situations and figuring out a “survival strategy”. As a consultant, it is easy to figure out what clients expect of me so I in turn have expectations from other vendors that become part of an initiative that I am responsible for. What it really comes down to is you must have a game plan, the discipline to execute that game plan and the posture to take responsibility for its’ outcome. You also need to have a bit of a “thick skin” and realize you may not make a lot of friends. Soft skills such as clearly articulating your expectations, setting the pace for the group and professionally/respectfully holding people accountable for their deliverables are key ingredients to success. I love to see insights such as these that have been shaped by raw experience. Your advice to have a “thick skin” and realize you may not make a lot of friends is spot on. One idea your comment inspired that I can’t wait to write about in the future is not to fall in love with your vendor. Too many project managers establish such chemistry with the vendor’s on-site team and start getting too complacent in managing their vendor. They often forget that sometimes behind the nice team working on site is a ruthless group in the corporate headquarters that will not forgive you when you mess up. This is the harsh reality a new project manager will discover when they don’t have a game plan and the discipline to execute it consistently. Your 5-step process is the kind of framework that we can all use to better manage our vendors. I will contact you shortly and explore opportunities to bring your message to our community. Under Mindset Principles your last 2 points are huge…never hesitate to ask what you need form the vendor and make sure the expectations are clear from your customer through to the vendor. As for the bonus, I agree with Ron. I would only pay out a bonus if the vendor delivered early or improved efficiency through their efforts. Milestones, clear expectations, and verification of design documents/prototypes are a must-have for success. Another golden nugget in this post is to make sure your customer signs off on the vendor deliverable. Thank you Robert for your insights. What surprises me is that so many organizations think that by hiring a vendor their work is done. Too many managers don’t even believe they need to assign their own project manager, when the vendor assigns their own project managers. And when they feel they have to, they allocate the smallest budget for vendor management. their logic is “hey, why do I have to pay for my own Project Manager, when I am already paying so much money for the vendor’s PM”. This is another topic I would like to cover in the future. I will look forward to your thoughts.